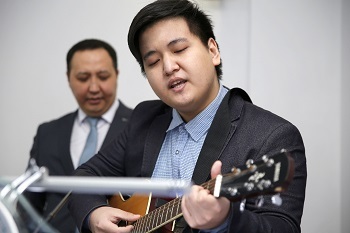 A ceremonial event dedicated to the 70th anniversary of the candidate of physical and mathematical sciences, doctor of pedagogical sciences Boris Drobotun was held at S.Toraighyrov PSU. The scientific community, colleagues and students gathered to congratulate the hero of the day. 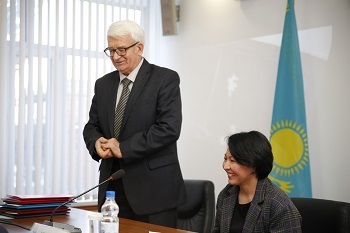 In her welcoming speech, Gaukhar Akhmetova. 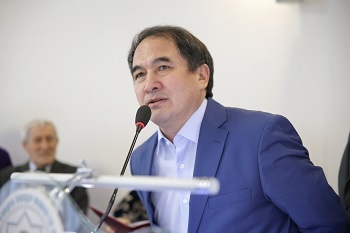 rector of S.Toraighyrov PSU, Candidate of Philosophical Sciences thanked the hero of the day for many years of work at the university. 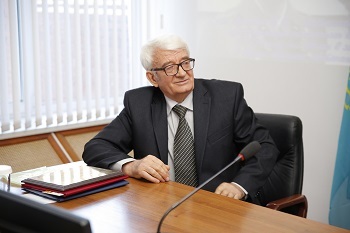 – All those who work with Boris Nikolayevich will confirm that he is an intellectual with a broad outlook and encyclopedic knowledge. His education is combined with a high internal culture. 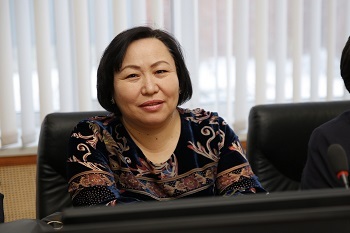 G. Akhmetova also added that mathematical logic, structure and thinking are also associated with Boris Nikolaevich’s unique poetic sketches. They are very kind and very well capture the essence of of the image in which the vision of the surrounding people is felt. On this day, a proposal was made to publish poetic works by B. Drobotun in the university publishing house. 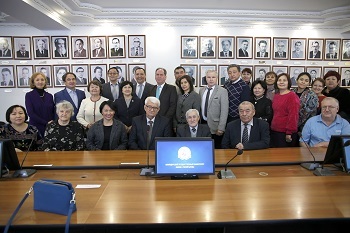 Boris Drobotun dedicated more than forty years of his life to the Faculty of Physics, Mathematics and Information Technologies of Pavlodar State University. Today he is the author of more than 200 scientific works, four monographs, textbooks and teaching aids on algebra, logic, and higher mathematical education. 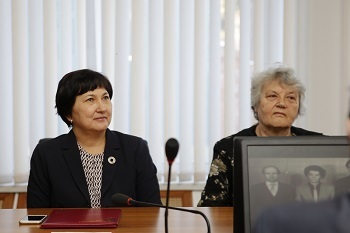 The scientific and pedagogical activity of Boris Nikolayevich was appreciated worthily. 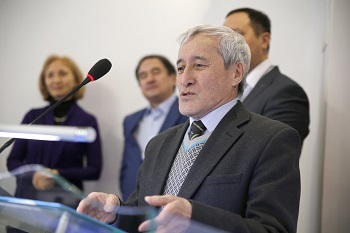 The scientist was awarded the medal “For merits in the development of science of the Republic of Kazakhstan”, the medal named after Ibrai Altynsarin and S. Toraighyrov Gold Medal, and also the honorary certificates of the Minister of Education of the Republic of Kazakhstan and President of the Academy of Pedagogical Sciences of Kazakhstan.